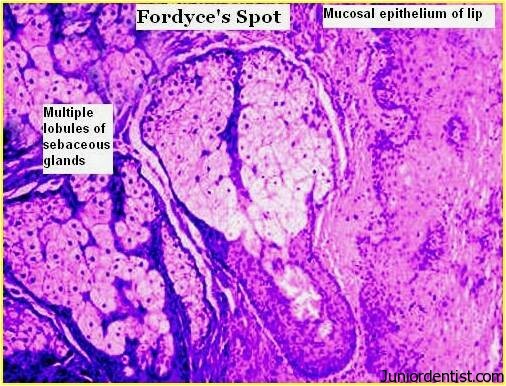 Definition: Fordyce granules or spots is a collection of sebaceous glands that occur in various locations in the oral cavity. Neoplastic Transformation has been reported but very rare. pls suggest does need any firthert investigation on this. 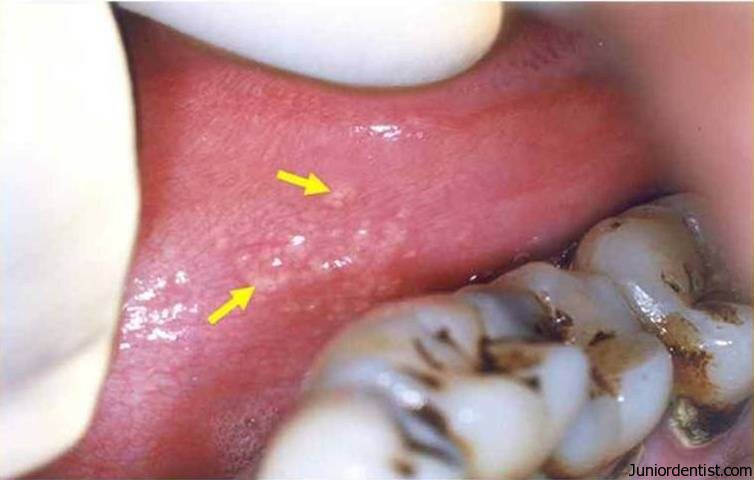 Stop using tetracyclines first.. they dont require any medication.. tetracyclines can cause swelling of gums and yellowish colour of tooth.. dryness of mouth condtion is called xerostomia.. for that u have to start taking lots of water intake .. swelling of cheeks is for another reason because of Fordyce spots.. if u r taking any other medication they also can cause dryness of mouth.. just go to visit near to ur dentist about ur sweeling cheecks.. If they are not harmful (paining or burning or Red) there is no need to do anythig about it. There is no treatment for Fordyce granules, you can only treat them when they are infected. Mu husband has gums sensation of burning while eating food. Doctor diagnosed it in leukoplekia and treating it and now asked for biopsy they are giving medicine and saying will do biopsy we are confused what to do. Biopsy is the best method to determine the type of Leukoplakia and also the stage in which it is in. Once you get back the results of the biopsy, the treatment plan will be determined. Whether surgical intervention is necessary or just medicines will be sufficient. If they look like Fordyce granules as seen in the image in the post, there is noting to worry about.